Unique work from a series. 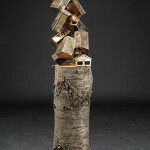 Cast bronze and wood. Eske continues to explore subject territory that balances colorful exuberance with images of destructive threat. 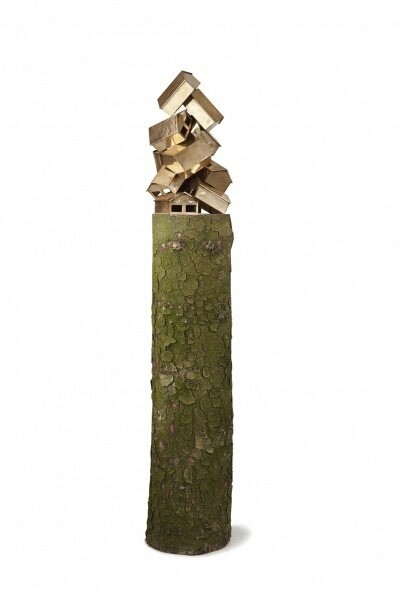 In large format paintings and sculpture, Eske depicts nature and human civilization in conflict. This conflict has been at the heart of Eske's practice for several years. 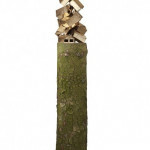 Human civilization in Eske's work is symbolized by the image of the house. The house serves as proxy for the human figure and also as exemplar for humanity's will to control nature. 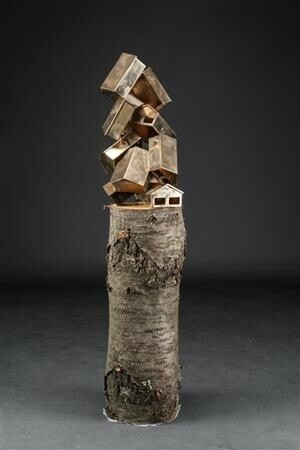 In Eske's paintings and sculpture, houses are pictured in flight, tossed about by the force of Mother Nature. The house thus becomes emblematic of the frailty of human civilization, and calls into question the ability of man to control nature. Tension in the paintings emerges from the controlled nature of the work and the chaotic nature of the content therein, analogous perhaps to the relationship between house and earth previously mentioned. In this exhibition, Eske shifts the role of destructor from Nature to Mankind himself. 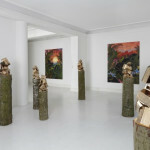 The sculpture in the center of the gallery, consisting of a large pile of light-filled wood and plastic houses, asks interesting questions about the durability of human civilization and the artist's role and culpability as a member of that civilization. 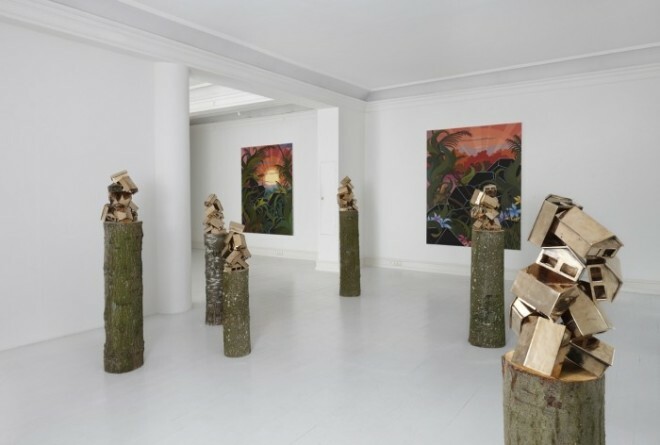 Eske's preoccupation with catastrophe echoes the images that circulate frequently in global media today, and some of the work in the show openly references topical events, such as the Deepwater Horizon disaster in the Gulf of Mexico from earlier in 2010. The show asks difficult questions about the tenuous nature of life today. Eske Kath graduated from the Royal Danish Academy of Art in Copenhagen in 2003. In 2009 he was commissioned to paint a chamber ceiling in the Crown Prince of Denmark's Amalienborg Palace in Copenhagen. He lives and works in Brooklyn, NY. Eske is represented by Charles Bank Gallery in New York, Galerie Mikael Andersen in Copehnhagen, and Galerie Mikael Andersen in Berlin.